We have all heard about the record breaking ice mass balance and cold temperature reading of -33°C recently being set in Greenland, the Arctic island that is the supposedly the canary in the climate coal mine. It turns out that things are colder than we would be led to believe and that warming there is fiction. Citing the Danish Meteorological Institute, the BAZ comments that the -33°C reading earlier this month was “the coldest July temperature ever recorded in the northern hemisphere”, smashing the previous record of 30.7°C. 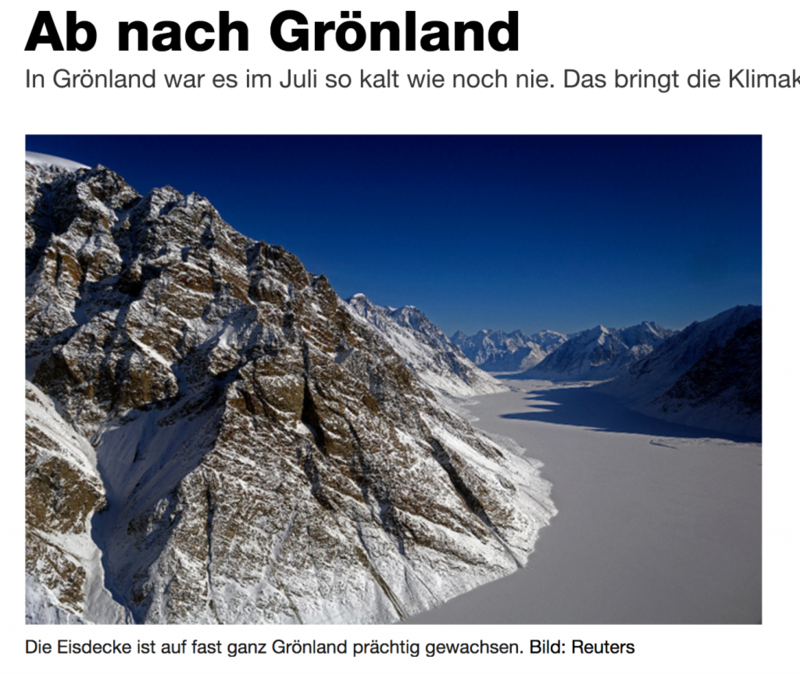 The BAZ adds that also the “ice cover has grown strongly over almost all of Greenland“. 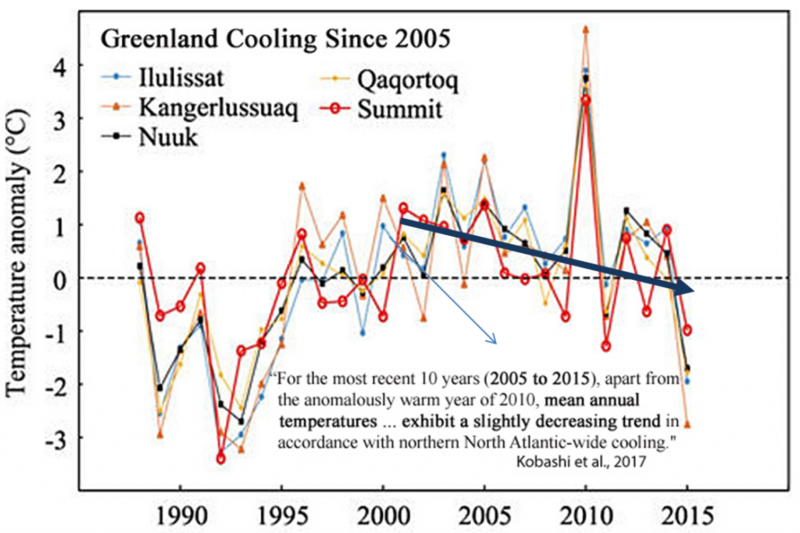 Recently NTZ reported here that Greenland in fact has been cooling over the past decade, as three recent studies alarmingly show. 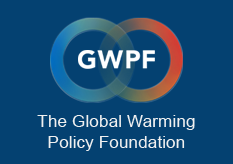 According to a new study published in May of this year by a team led by Takuro Kobashi of the University of Bern, mean annual temperatures at the summit of Greenland have been showing “a slightly decreasing trend in accordance with northern North Atlantic-wide cooling“. See chart above.